Nick Kyrgios returned a serve not even aimed at him. It's one of sport's greatest feuds and it has again been reignited by Aussie Nick Kyrgios. A seemingly innocuous Rothenberg tweet about Nadal's path to the final drew a withering response. 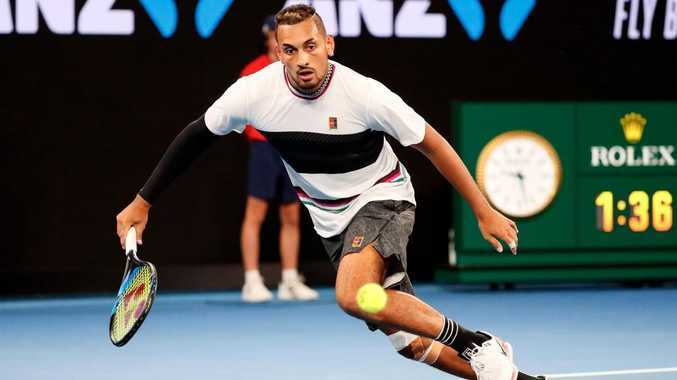 Nadal has yet to drop a set in the 2019 Australian Open and Australia's Duckworth won the most games against the Spaniard despite falling 7-5 6-3 6-4. Only Tomas Berdych has been able to even take Nadal to a tie-break, but their match was a landslide - 7-6 6-1 6-0 - after a tight first set. While Rothenberg's stance didn't seem the most controversial call, Kyrgios fired back on Twitter, where much of this war has taken place. Kyrgios and Rothenberg have a long history of Twitter beefs, most famously at last year's US Open. In a long thread, Rothenberg accused Kyrgios of not standing by anything, while Krygios hit back, calling Rothenberg a "keyboard warrior". It's a feud that doesn't appear to be anywhere near over, but Rothenberg has admitted "the cupcakes offer will never expire," according to Deadspin. In case you were wondering, Duckworth was happy for the mention, although he probably would have preferred Tsitsipas' prizemoney of $920,000 compared to his $75,000 for his first round exit, which is not still not too shabby for a few hours work.